Putting an end to daily skin piercing for measuring blood sugar level once and for all might be a dream of every patient with diabetes. There is nothing surprising: traditional glucose measurement methods are associated with pain and inconvenience; they may result in a loss of sensation and pose a risk of infection. For several decades, companies all over the globe have made attempts to ease the procedure and make it fully non-invasive by offering various technological solutions, and often rather unexpected ones. For instance, several years ago the Google company announced a smart contact lens project that aimed to help people with diabetes by measuring the glucose levels in their tears. However, most devices still do not guarantee the accuracy of measurements achieved by invasive methods, which is crucially important in the case of diabetes. Besides, virtually all developments required time-consuming and routine calibration procedure. Russian company Brain Beat is seeking to change the situation through developing a project of a non-invasive glucose meter, and plans to launch the product in the market as early as in the second half of 2019. Today, there is quite a number of glucose measurement devices offered in the market that aim at easing lives of patients through non-invasive methods. The most discussed is the FreeStyle Libre system, which received the approval from the US Food and Drug Administration (FDA) in 2017. To a certain degree, such devices indeed help ease the measurement procedure as they do not imply regular skin piercing. Yet, it is hard to qualify most of them as fully needle-less. The FreeStyle Libre system, for instance, does not require multiple injections to monitor glucose levels. But it does require attaching a sensor on a shoulder area and inserting a glucose sensing filament into the subcutaneous tissue, which needs to be replaced regularly. This technology is minimally invasive. A user receives the data on glucose levels in interstitial fluids using a special reader included in the kit. Sensors have to be replaced every 14 days; a sensor’s price is over RUR 4,000 ($60.1), with the annual costs amounting to about RUR 100,000. SugarBEAT, a blood glucose monitoring system being developed by the British company Nemaura Medical, can hardly be called fully non-invasive as well. A transmitter is attached to the skin with an adhesive skin-patch; the device analyses the interstitial fluid composition. A finger prick test is required once a day to calibrate the device. It is recommended that each patch should be used for no more than 24 hours. The Sugarsenz blood glucose monitoring system, being developed by California-based Glucovation, also requires a micro skin prick, with a sensor attached to a patient’s and worn up to seven days. Also, not all new devices are convenient to use. The GlucoTrack device created by Israel’s Integrity Applications requires placing the ear clip onto the lobe; the sensor measures the temperature and levels of ultrasonic and electromagnetic emissions. The sensor is attached to the device with a data transmitting wire, which considerably reduces the convenience. The device must be calibrated weekly, with expensive expendable materials required. In recent years, devices have appeared in the market whose developers offer innovative solutions instead of traditional glucose meters to diabetic patients, says Ruslan Altayev, Development and Key Partners Director of the Skolkovo Foundation’s Biomedical Technologies Cluster. However, despite numerous attempts, they can hardly be called successful as regards measurement accuracy. 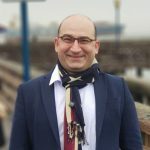 “There have been attempts worldwide to create a non-invasive glucose meter over the past 30 years, but so far they have failed”, Altayev says. Measurement inaccuracy allowed for smart gadgets – and not only for those designed for diabetic patients – remains pretty much the key target for criticism from the medical community, and rightly so. In 2016, a research conducted in the US smart bracelet market revealed that such devices can make a heart rate measurement error of up to 25 beats per minute. In 2017, US researchers found that fitness trackers failed to correctly track calories eaten by users, with errors reaching 90% and more. As regards diabetes, such measurement errors are absolutely unacceptable. There is no cure for this disease, and the treatment methods solely include maintaining blood sugar levels within the norm, which requires continuous measurement. Errors can lead to serious complications in patients, including critical kidney and cardiovascular disorders as well as vision problems. This has resulted in a cautious attitude towards such developments in the market. No wonder that developers of new devices specify that their solutions should be used together with traditional glucose meters for additional monitoring, but not as a substitution. Russia’s company Brain Beat, which sought to solve the issue of blood glucose measurement inaccuracy through a non-invasive solution, used the method of optical spectroscopy. Instead of traditional glucose meters with needles and single-use test strips, developers offered a gadget with photosensors and optical diodes. A user places the finger on the device’s sensor, which will carry out diagnostics without any body fluid samples. According to Ruslan Altayev, Brain Beat’s team uses several optical sensors that measure parameters at different frequencies, and has developed algorithms that allow eliminating any measurement errors. “I believe in the device, and I particularly believe in the project’s team. They have their feet on the ground: they perfectly know the international market and successfully work in it”, says Oleg Malsagov, development adviser to the rector of St. Petersburg National Research University of Information Technologies, Mechanics and Optics and managing partner of the techno-broker company Delovoy Alyans (Business Alliance). In 2015, Malsagov was an organizer and mentor of the GenerationS accelerator’s BiotechMed track, with Brain Beat general director Edward Kryzhanovsky‘s company also involved. The mankind is moving towards mass use of sensors and abandoning invasive medical procedures, Malsagov says. Yet, he adds, the medical community – which is still rather conservative in most countries – is not ready to accept such solutions. If the team sets a task of launching the medical advice in the market, it will have to prove the method’s relevance globally as regards medicine, which requires comprehensive research efforts in many countries. But there is another option: the company can enter the market with its device for household use – for instance, in partnership with a large technological company. “Such a device can considerably reduce the risk of a person going into insulin shock but will not fully eliminate the necessity of having an invasive device at home”, Malsagov says. According to Brain Beat general director Edward Kryzhanovsky, the company plans to launch the production of both the medical device and a fitness gadget to check blood glucose. The work is now underway to complete the work on the device’s serial sensor, and then the company expects to launch the device into production. “We estimate that the sensor will be finally completed by February or March 2019”, Kryzhanovsky says. 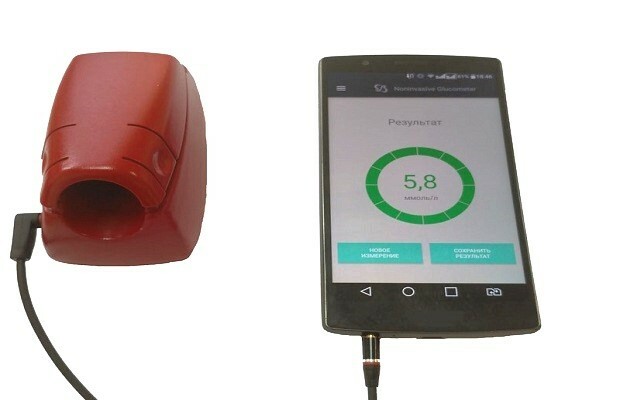 The device may be introduced in the market as a medical product upon certification by the Federal Service for Supervision of Healthcare (Roszdravnadzor), which company plans to complete by June 2019. The approximate price will be about RUR 16,000-18,000 ($242-273). The non-invasive glucose meter has already undergone approbatory tests, including in the endocrinology department of St. Petersburg’s outpatient clinic No. 37. In early December, the company presented the innovative development for diabetic patients at the International Future Healthcare Forum in Cambridge, England, and in November, it took the 2nd place at the Asian Entrepreneurship Award (AEA) prestigious contest of innovative technologies in Japan.